José Graziano da Silva is FAO Director-General and Margaret Chan is WHO Director-General. ROME/GENEVA, Nov 13 2014 (IPS) - The scourge of malnutrition affects the most vulnerable in society, and it hurts most in the earliest stages of life. Today, more than 800 million people are chronically hungry, about 11 percent of the global population. Undernutrition is the underlying cause of almost half of all child deaths, and a quarter of living children are stunted due to inadequate nutrition. 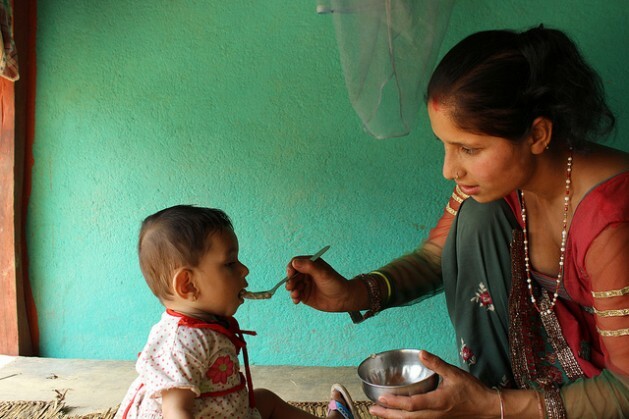 Micronutrient deficiencies – due to diets lacking in vitamins and minerals, also known as “hidden hunger” – affects two billion people. Our food systems are simply not sustainable or healthy today, let alone in 2050, when we will have to feed more than nine billion people. We need to produce more food but also nutritious food and to do so in ways that safeguard the capacity of future generations to feed themselves. Another worrying form of malnutrition – obesity – is on the rise. More than 500 million adults are obese as a result of diets containing excess fat, sugars and salt. This exposes people to a greater risk of noncommunicable diseases – like heart disease, stroke, diabetes and cancer – now the top causes of death in the world. Poor diet and physical inactivity also account for 10 percent of the global burden of disease. Many developing countries now face multiple burdens of malnutrition, with people living in the same communities – sometimes even the same households – suffering from undernutrition, hidden hunger and obesity. Besides the terrible human suffering, unhealthy diets also have a detrimental impact on the ability of countries to develop and prosper – the cost of malnutrition, in all its forms, is estimated between four and five percent of global GDP. Government leaders, scientists, nutritionists, farmers, civil society and private sector representatives from around the world will gather in Rome from Nov. 19 to 21 for the Second International Conference on Nutrition (ICN2). It is an opportunity they cannot afford to miss: making peoples’ right to a healthy diet a global reality. Creating healthy and sustainable food systems is key to overcoming malnutrition in all its forms – from hunger to obesity. Food production has tripled since 1945, while average food availability per person has risen by only 40 percent. Our food systems have succeeded in increasing production, however, this has come at a high environmental cost and has not been enough to end hunger. Meanwhile, food systems have continued to evolve with an even greater proportion of food being processed and traded, leading to greater availability of foods with high energy, fats, sugars and salt. Put simply: we need healthy and sustainable food systems – that produce the right balance of foods, in sufficient quantity and quality, and that is accessible to all – if we want to lead healthy, productive and sustainable lives. The Framework for Action gives governments a plan for developing and implementing national policies and investments throughout the food chain to ensure healthy, diverse and balanced diets for all. This can include strengthening local food production and processing, especially by family farmers and small-scale producers, and linking it to school meals; reducing fat, sugars and salt in processed food; having schools and other public institutions offer healthy diets; protecting children from marketing of unhealthy foods and drinks; and allowing people to make informed choices regarding what they eat.